Directed by Tetsuya TOMINA『At the Last Stop Called Ghost Chimney』(producer/Mina Hatanaka) Screening at GFFIS 2014(May 8-15) in Seoul, South Korea. 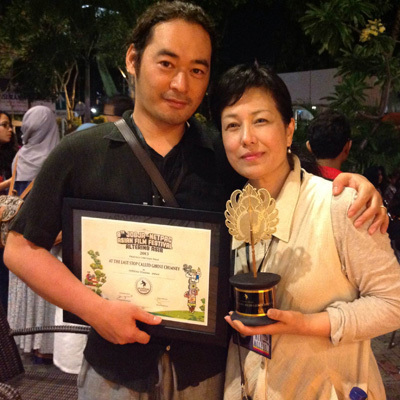 We won the best Asian short “BLENCONG AWARDS” at 8th JOGJA-NETPAC ASIAN FILM FESTIVAL! A 5days series of Japanese article on a director, Tetsuya Tomina has started from today 21/10/2013 on!